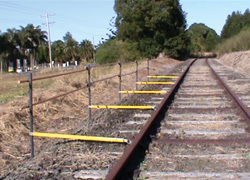 Save time and money and ensure the safety of maintenance personnel on active tracks. 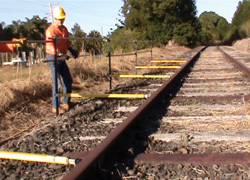 Safetrax assembles quickly, requires no digging or staking, fits all track gauges, and meets OH&S requirements. Adjustable both horizontally and vertically, Safetrax makes it easy to maintain safety distances and stacks away in a compact space when not in use.